November | 2017 | Larval Subjects . People say that the kids these days are whiny, little twerps. They have been spoiled, they say, by their parents, and led to believe that they should live in a world where everything is handed to them without work, where there is no danger of bodily harm, where they never need to worry about being offended by how others talk or what they say. 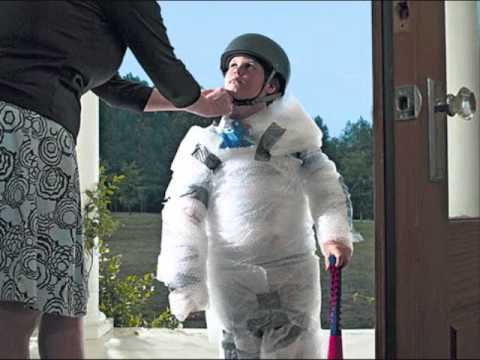 The argument runs that a million tiny cuts by poor parenting and bad policies led to the creation of these delicate little snowflakes: an obsession with safety that advises parents to wrap their children in bubble wrap. Sports where all participants receive a trophy and they only play to a tie. An educational system that allows students to take tests over and over again until they get a passing grade. Homes where children never have to do any chores and where they are never disciplined. And all the rest. Perhaps all of this is true. I don’t think so, as I work with the “kids these days” and find them pretty impressive. What if, instead, we were to interpret these phenomena and practices not in moralistic terms, but symptomatically as expressions of a sort of dreamwork as described by Freud in The Interpretation of Dreams? What if we were to interpret the obsession with safety and things like sports teams that play to a tie as a series of displacements and condensations, metonymys and metaphors, referring to a fundamentally different desire and unconscious awareness of circumstances? The world that parents and children have inherited is one of fundamental precarity and the absence of opportunity. It is a world where those that came before us on both the “left” and the right, deregulated every aspect of institutions that make social life possible, bringing about the disappearance of jobs, worker representation, the realistic possibility of retirement as a result of getting rid of pensions and replacing them with poor investment plans, and all the rest. They created a world that funneled money to the top 1% on the backs of everyone else, creating the largest wealth disparity in nearly a century. They created a world in which people are drowning in both college and credit debt, not because people or irresponsible or wish to live ridiculously lavish lifestyles, but because now, living from paycheck to paycheck, people are more or less forced into debt to make ends meet. They made a world where the planet is burning and dying in ways that might very well bring about the collapse of civilization as we know it. And they created a world where people feel powerless to do anything about it. Doesn’t it stand to reason that in a world such as this, where people feel utterly powerless, doesn’t it stand to reason that people would become obsessed with what they think they can control? Isn’t the passion for safety a reflection of how everywhere we experience our lives and ability to live as precarious, and therefore do everything we can to protect ourselves and our children, whether with knee pads and helmets or public health measures or surveillance or regulating speech in every way possible to prevent offense? In a world where there is such gross injustice and inequality, does it come as a surprise that egalitarian impulses would arise, manifesting themselves in things like every child getting a trophy, recognizing the worth of everyone in a world where the vast majority are treated as if they have no worth as can be seen in perpetual layoffs and firings at every level of industry and the uberfication of the economy rendering everyone disposable? Likewise, we could read the policy of allowing students to take tests over and over again as a sort of distortion of the desire to right the injustices of a rigged and grossly unequal society. Behind all of this, can we not discern a profound desire to control something, anything, in a world that is profoundly beyond our control. We can discern an egalitarian impulse and desire for justice or fairness, where these things are entirely absent. If psychoanalysis has taught us anything, it is that the symptom is both a substitute form of satisfaction, a way of satisfying a repressed wish or desire, and a diversion that functions to lead us astray like a red herring. What is sad in these symptomatic impulses is that they suggest a revolutionary, egalitarian impulse that is nonetheless impotent because it directs itself at the wrong things. They see the world truly, but in a distorted fashion as if through the bottom of a glass.